As an indie author, all book marketing and promotion is entirely your responsibility. The amount of people your book lands in front of comes down to the promotion strategies that you develop. But when it comes to promoting an indie book, it can feel like every marketing tactic has been done to death. Besides the standard avenues of book reviews, interviews, press releases and book launch parties, is there anything else you can do to market your novel? Good news: the answer is yes! Here are our top five fresh ideas for promoting an indie book. For indie authors, working with book bloggers is one of the most effective ways to get the word out about your books. Book reviews and interviews, as we mentioned above, are pretty much essential when it comes to promoting an indie book. But there are other ways you can work with bloggers, too. A blog tour, for example, involves organising a number of bloggers to each publish content relating to your book, over a set schedule. Usually over the span of a week or two, your book will be featured on a different blog every day, with unique content on each blog. According to Penguin Random House, online exposure is the main benefit of using a blog tour to promote your book. Blog tours won’t be as effective for some books as they will for others. Young adult books and genre fiction (especially romance and fantasy) generally tend to have more engaged and active online audiences. So, if you’re writing in these spheres, a blog tour could be great for you. If not, though, consider reaching out to bloggers to discuss the possibility of writing a guest post for their site. 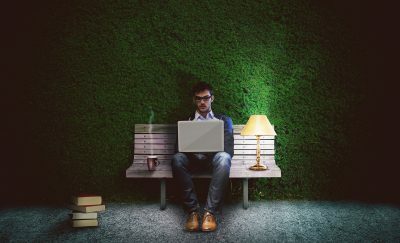 We’ve talked before about why indie authors need to guest blog, but to briefly summarise: guest blogging involves writing a dedicated piece to be published on someone else’s site. It gets your name out there, drives traffic back to your website, and helps you build anticipation for your book. When you’re connecting with book bloggers, consider suggesting guest posts in addition to reviews to help diversify your promotional content. Standard bookish merchandise/’swag’ options, such as bookmarks, are an excellent and relatively cheap promotional tool for indie authors. But you should also consider offering other bonus material that relates to your book. Prequel stories: Try writing one or more short stories that serve as prequels to your novel. Then offer them to readers for free—for example, as a reward for signing up for your newsletter, or as a bonus item when your book is purchased on launch day. Book club kits: Create a set of questions and discussion points that readers can use to talk about your book in a book club setting, and make the list available on your website. You could even offer a discount for multiple copies of your book purchased by a book club. Playlists and moodboards: If you haven’t already, create a Spotify playlist or Pinterest moodboard that helps inspire your writing process. Then share it with current and potential readers. Sharing access to these inspirational tools can intrigue readers with a behind-the-scenes look at your process, or snag new ones if they like the look and feel of your novel’s imagery. We creative types have to stick together, don’t we?! And teaming up with other creatives is a great way to drum up some fresh ways of promoting an indie book. Many bookstagrammers are also reviewers, so sending out a free copy of your book for some gorgeous promotional shots could kill two birds with one stone if they publish a review as well. This is a relatively new piece in the indie author’s promotional toolkit, but getting your book in a book subscription box is a great way to reach new readers. Check out our full guide to the book subscription box to find out how it can be a secret weapon for indie authors. There’s been a growing proliferation of fan art (artists’ interpretations of book characters and scenes) in recent years. Try reaching out to an artist to discuss the possibility of pairing up to promote your book—but never ask the artist to work for free. You’ll need to pay for the work you commission, unless you come to an alternative arrangement that’s equally beneficial to both you and the artist. Are there any bookish podcasts on which you or your book might be a good fit to be featured? Do some research, reach out to podcasters and see what you can arrange. Book-inspired items, such as themed candles and even tea blends, are becoming ever more common. Do some research on the makers of these kinds of items and see if they might be interesting in pairing up to create themed items for your book. Have you heard of Emma Watson’s ‘Book Fairies’ project? Earlier this year, the Harry Potter actor began an international book-sharing movement, which involves leaving free books in public places for people to find and take home. The finder is encouraged to pay it forward by leaving the book for someone else to find once they’ve finished reading it. There are people participating in the Book Fairies project all around the world, with similar initiatives like Melbourne’s Books on the Rail popping up as well. It’s a great way to do a good deed and promote more reading in the world—but have you ever thought of using it for promoting an indie book? That’s right: we mean leaving copies of your books hidden around in public places for people to discover. Now, we do realise this method involves a cost outlay for you, as you’re essentially giving away several physical copies of your book for free. But it can be a fun and different way to get your book out there into the hands of people who might not otherwise have found it. Try to leave books in safe spots where it’s likely people who might enjoy them will find them. Taking the lead from Book Fairies and Books on the Rail, train stations and public transport are good options. Always include a note explaining that the book is free to a good home, and encouraging the finder to pass it on if you wish. Perhaps include a link to your website as well, or an invitation for the reader to share their thoughts on the book in a review on Goodreads or Amazon. You might like to promote your book fairy-ing on social media to get more people interested, and even start a sort of treasure hunt! Chef Jamie Oliver did this recently when he visited Sydney, leaving copies of his latest cookbook around the city and posting clues on his social media channels to help people find them. Many social media users are visual creatures. If you have an author Twitter account or Facebook page (which you should), you’ll probably have noticed that posts with images tend to get way more engagement than text posts. Following this logic, it’s easy to see why pretty #bookstagram shots of your book’s cover are a great marketing tool. But these aren’t the only type of visual post you can use to drum up interest! Step one to creating a great quote image is scouring your book for some intriguing, quotable sentences. Snippets of description and dialogue tend to work well. Then, create some pretty, eye-catching images to display the quote, making sure to include your name and the name of your book. You don’t have to stop at quotes from the book, either; you can also use favourable quotes from reviewers who have enjoyed your book. Try a graphic design tool like Canva to create professional-looking quote images. You might like to use background images and colours that relate to the theme/content/aesthetic of your book. Have a bit of fun and be creative! When it comes to promoting an indie book, the tried and true methods are vital—but it also helps to shake things up a bit, too.